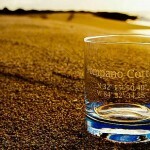 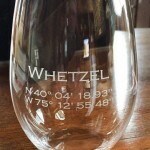 How yummy is this etched glass? 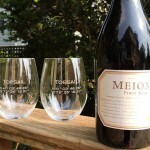 Yep, made in Connecticut. 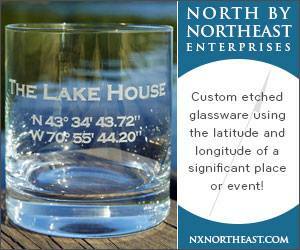 Network Connecticut welcomes North By Northeast Enterprises to our statewide Business Directory, so many wonderful small businesses are linking together here. 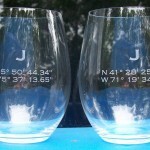 North By Northeast Enterprises is a small company located in Lyme, CT servicing customers all over the world. 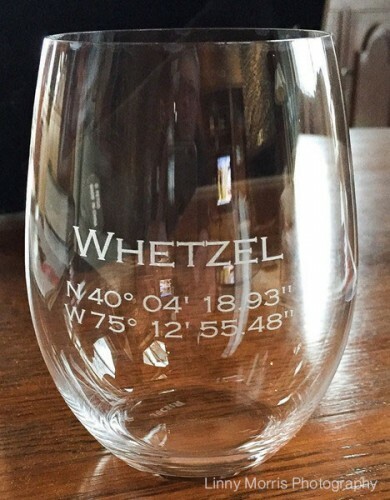 This company pinpoints the location of a home, business, or special event and translate the address into precise coordinates expressed in latitude and longitude. 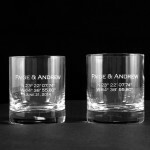 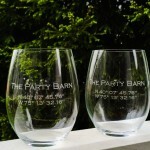 Using those coordinates they create a distinctive product that says “there’s nowhere else like it on earth.” They specialize in custom laser-engraved glassware but can also source embroidered goods as special orders.